Dealing with asthma can be a very strange and frightening experience. The inability to take and withstand deep breaths is crucial to the body's overall makeup; struggling to do so can lead to many issues. A recent study that was published recently, showed that additional research is linking the benefits of vitamin D supplements to those who struggle with asthma. This condition affects more than 300 million people worldwide and is the cause of over 400,000 deaths a year. While specific safety measures have been taken for many, trying to eradicate this dangerous condition has been a longstanding hope. The study took the individual data of over 950 participants and tested the specific use of vitamin D supplements. The findings were extraordinary. There was at least a 30 percent reduction in the amount of asthma attacks that required injections or steroid tablets. There was a 50 percent reduction in the risk of experiencing an asthma attack so extreme it requires hospitalization or urgent care attendance. That's a drop from about a six percent occurrence to a three percent occurrence. The dosages of the vitamin D supplementation were found to be safe; no side effects that affected calcium levels or renal stones were detected. One of the lead researchers, Professor Adrian Martineau, explained: The results add to the ever growing body of evidence that vitamin D can support immune function as well as bone health. On average, three people in the United Kingdom die from asthma attacks every day. Vitamin D is safe to take and relatively inexpensive. Supplementation represents a potentially cost-effective strategy to reduce this problem. Based on the outlay of which groups received the adequate dosages of vitamin D supplementation, it was found that there were strong indications of the benefits for the individuals that had low levels of vitamin D to start with. Oddly enough, the absence of necessary levels of vitamin D within the body is actually very common. A lack of vitamin D can lead to a whole host of issues. This makes complete and perfect sense when we realize the intrinsic connection between vitamin D and the immune system. The way that health conditions manifest and spread happens initially in the immune system. The results that were gathered from this study were from the majority of participants that suffered from mild to moderate asthma. Those who had severe asthma were underrepresented in this study, but the results for those who experience any type of asthmatic symptoms are impressive. Especially when vitamin D is so readily available and not very costly to use on a regular basis. 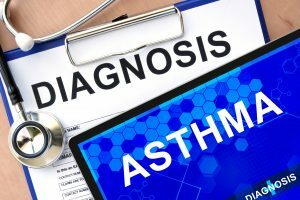 This information can help asthma suffers have a better idea of what type of preemptive measures they can take to better manage their systems.